Junior Megan Yee prepares to shoot over a confused defender during the Tigers' victory. The girl’s basketball team won a crushing victory against the Monrovia Wildcats 61-13 on Friday, January 18th. The Tigers played an aggressive game and easily held back Monrovia’s defense, maintaining their enormous lead for the entirety of the game. 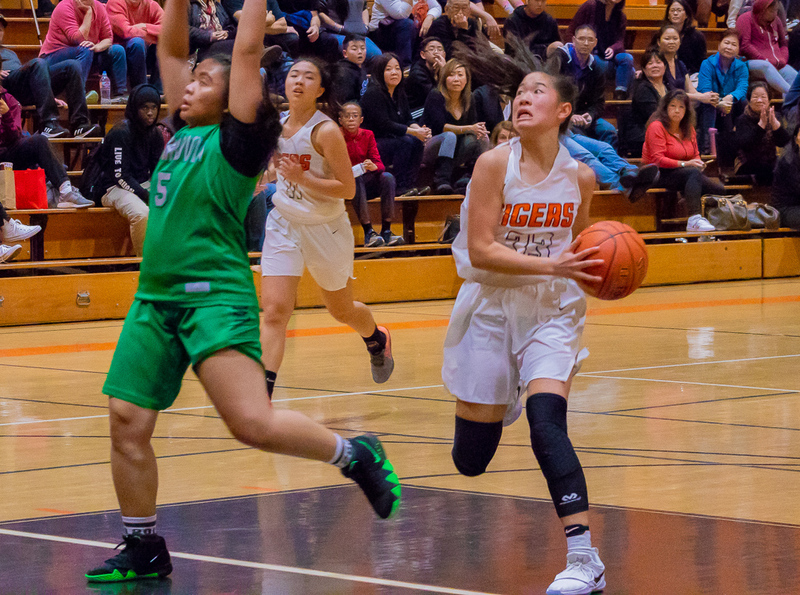 The Tigers started strong in the first quarter, with freshman Allysan Tse sinking a three-pointer early in the game and junior Megan Yee following up with two baskets. The first quarter was highlighted by numerous and impressive steals by the Tigers. They pushed the tempo of the game and continuously broke through Monrovia’s line of defense, ending the quarter with a 28-2 lead. The second and third quarters saw more belligerent attacks coming from both sides. Monrovia’s offensive game was much weaker than the Tigers’, but they started to lock up their defense. The girls were suffocated by the Wildcats, but continued their efforts of the defensive side of the ball. 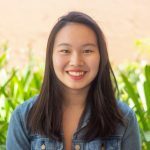 Still, the girls managed to increase their lead with the combined attacks of juniors Emily Newhall and Sydney Sakamoto, as well as seniors Lauren Kafkaloff and Kayla Zhang. By the fourth quarter, the Tigers were well ahead of the Wildcats, but kept up their spirited play until the final buzzer sounded. They won with a final score of 61-13, bringing their league record to 3-1. In their next home game, the Tigers will face off against the San Marino Titans on January 22. .